Reviewers call "The Girl With The Dragon Tattoo" staring Rooney Mara and Daniel Craig brutal, yet captivating. It's the first film in Columbia Pictures' three-picture adaptation of Swedish author Stieg Larsson's literary blockbuster novel trilogy, which altogether have sold 50 million copies in 46 countries and have become a worldwide phenomenon. 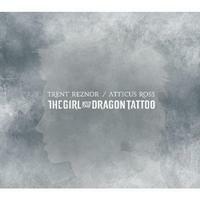 This soundtrack from "The Girl With The Dragon Tattoo" composed, arranged, performed, programed and produced by Academy Award winners Trent Reznor and Atticus Ross features three hours of music on three CDs. Housed in an eight-panel digipak with custom "ice"-look slipcase.